They’re small, unassuming – and potentially deadly. And while most bacteria are rendered harmless by the body’s defense mechanisms, to date there has been very little understanding of exactly how bacteria are able to navigate the blood stream to invade organs, where they can cause massive damage and in some cases, death. But in a study published in the journal Cell Reports this week, scientists at the University of Toronto have used a new live-imaging system to shed new light on this ancient mystery. To their surprise, the researchers found that bacteria utilize the same strategies for invasion that the body’s immune cells use for defense. 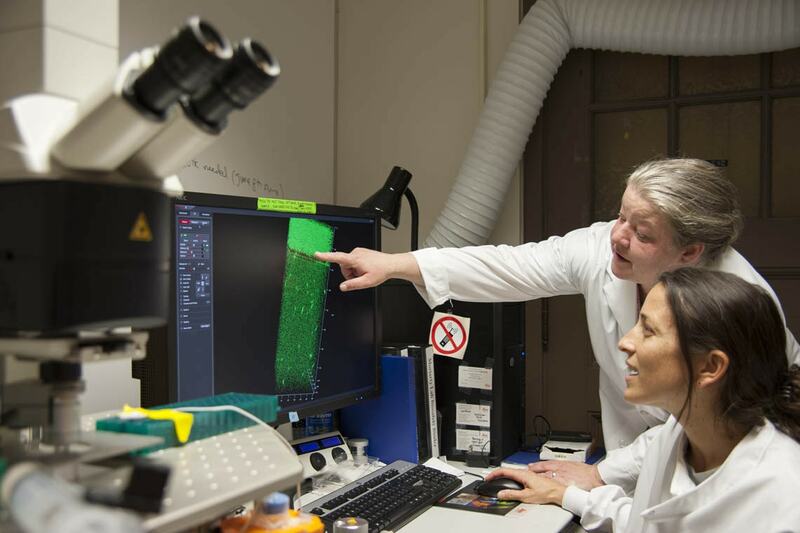 The team focused its study on the bacterium B. burgdorferi, known to cause Lyme disease which can invade joints, brain, heart and other tissues. This bacteria is part of the spirochete family of bacteria associated with diseases such as relapsing fever, leptospirosis, and periodontal disease – a major cause of human disease worldwide. “This is the first time we’ve seen this with any bacterium,” said Moriarty.